Cloudy and damp with rain this morning...then becoming partly cloudy and windy at times. High 71F. Winds NW at 20 to 30 mph. Chance of rain 90%. Higher wind gusts possible..
A fire destroyed a China Spring-area home early Saturday morning. The only person inside escaped uninjured with two pet dogs, fire officials said. Waco and Mart police worked together on an investigation that led to the arrest Friday of a 30-year-old man on a first-degree felony charge of continuous sexual abuse of a child. Waco police got a report Jan. 22 that Justin Randall Sauceda had sexually assaulted a 13-year-old girl multiple times at a home in Mart, an arrest affidavit states. The girl gave a “very detailed, traumatizing, but consistent story of sexual abuse by Sauceda to (Child Protective Services,) law enforcement, nurses, doctors and counselors,” according to the affidavit. The affidavit states the girl was assaulted multiple times but does not give a timeline. She told officials Sauceda also sexually assaulted another girl, and Mart police are continuing to investigate the claim, according to the affidavit. 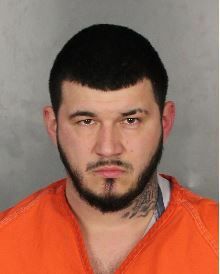 Sauceda remained in McLennan County Jail on Saturday with bond listed at $150,000. 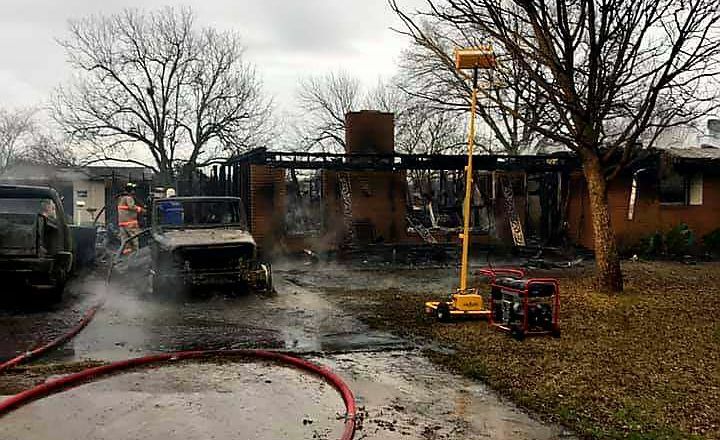 A fire destroyed a rural China Spring-area home early Saturday morning after the occupant escaped with two pet dogs, Waco Assistant Fire Chief Patrick Kerwin said. Waco fire crews were called at about 5:30 a.m. to 141 Cedar Drive, about 13 miles north of downtown Waco, to assist the China Spring Volunteer Fire Department. When Waco firefighters arrived a garage attached to the main structure was engulfed in flames, and a strong northeast wind was pushing the fire into the main part of the home, Kerwin said. A woman was the only person home at the time and escaped uninjured with two pet dogs, he said. Five cats were unaccounted for late Saturday morning. The fire grew quickly, prompting a request for more help, Kerwin said. Firefighters from the Speegleville Volunteer Fire Department and Valley Mills Volunteer Fire Department also responded. The fire was contained in about two hours, Kerwin said. Two cars parked in the driveway were destroyed, and the house was determined to be a total loss, he said. The State Fire Marshal’s Office likely will investigate the cause of the fire, he said.